We stand behind our products because we use the best products in the industry. 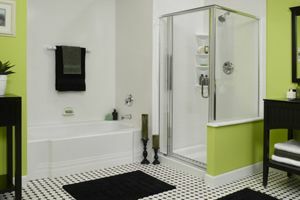 Toledo New Bath offers a lifetime warranty on the acrylic products we sell. We also provide each and every one of our customers with a one year warranty on installation. At Toledo New Bath, we believe when you go to bed at night the last thing you should worry about is your bathroom. When you trust our experienced, professional installers to complete your remodel, you can leave the worry to us! Call today for a free consultation.